Ah, refreshing and invigorating lavender. This past summer my daughters and I purchased a few bunches of lavender at our local farmers’ market. 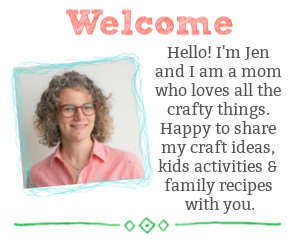 I knew that I wanted to use the lavender in homemade Christmas gifts for our family – I wasn’t sure what those gifts would be. As we were brainstorming ideas, the idea of a sachet of lavender was being bounced around. We have two new nephews in our family and I know their moms are tired. Lavender is known as a relaxing herb, and we knew we needed to make something relaxing for these moms. What new mom doesn’t need a lovely lavender eye pillow? 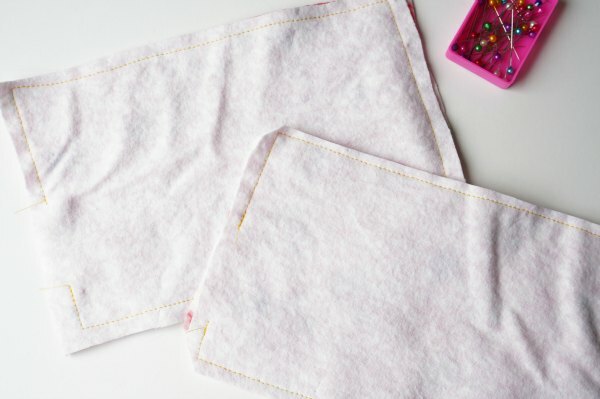 These are so simple to make and I enlisted the help of my daughters to do the sewing. 1/4 metre of two patterns of soft fabric (we used soft flannelette) a total of 1/2 metre of fabric. Makes 4 pillows. 1. Cut a piece of paper in half, across the width of the paper. Half a sheet of paper will be the pattern for the eye pillow. 2. Fold the fabric in half, along the width of the fabric. 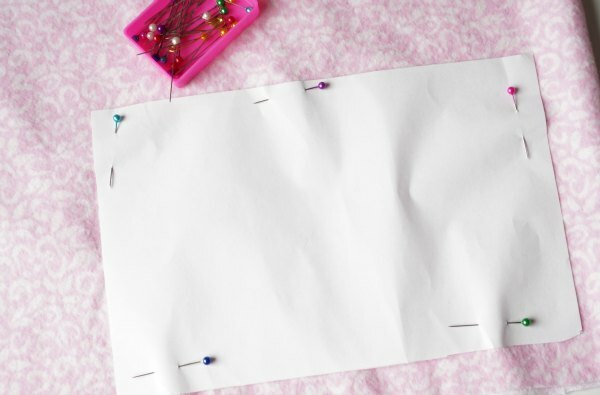 Pin the paper to the fabric. 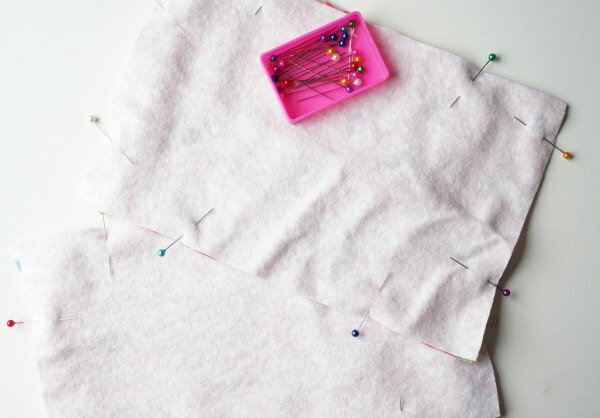 You will be pinning through 2 layers of fabric. 3. Cut out 2 rectangles of fabric per eye pillow. 4. Pin rectangles of fabric, right sides together, and sew a 1/4″ seam allowance. Be sure to leave an opening, this hole is where you will fill the eye pillow. 5. Trim the corners. Turn the fabric right way around. 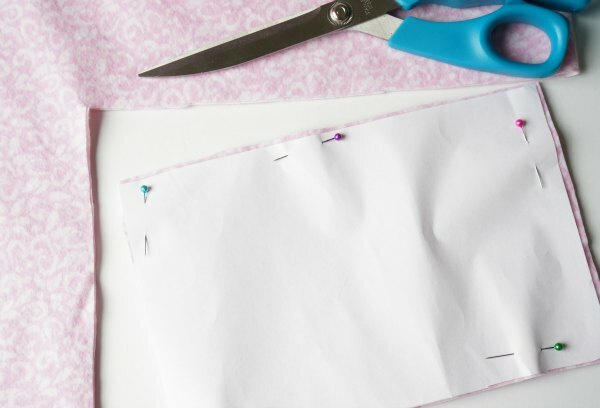 Use the eraser end of a pencil to push the corners of the fabric out, making sharp corners. 6. Use the other half of the paper to form a funnel and place the narrow end of the funnel inside the hole in the eye pillow. 7. 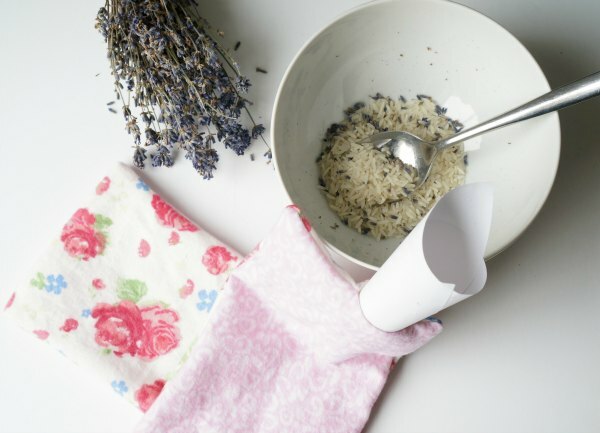 Use a spoon to transfer rice and dried lavender into the eye pillow. You may choose to add more or less filling. At this point you could add a drop of lavender essential oil. We found our dried lavender had enough scent, so we opted to leave out the essential oil. 8. Hand stitch the opening closed on the eye pillow. Use a blanket stitch, or whip stitch to close the hole. 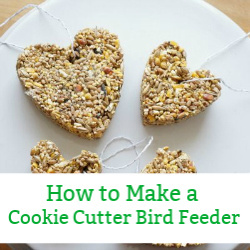 Be sure to keep the stitches close together, so the filling doesn’t come pouring out. 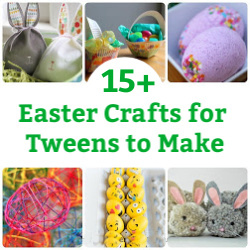 Use whichever stitch is easiest for your child. 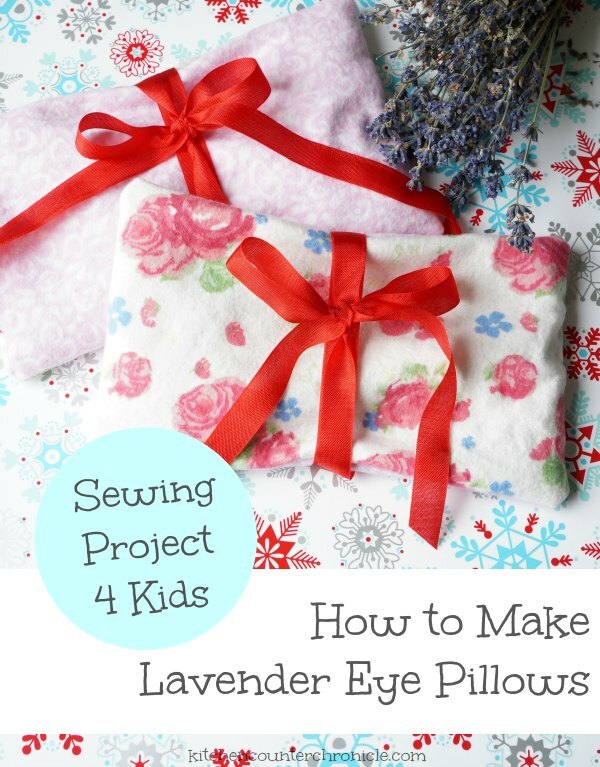 These lavender eye pillows are so easy to sew together. If your child is unfamiliar with working on a sewing machine, simply have him hand stitch the pillow together. As long as the stitches are close the filling will not leak out. The eye pillow is a versatile gift. Pop the pillow in the microwave for a few seconds and use it to relax achy muscles or warm cold feet (DO NOT put the hot pillow on your eyes!!). Chill the pillow in the freezer for a few minutes and use it to relieve a headache. Lay back, close your eyes and place the lavender eye pillow on your eyes and get a few minutes of peace and quiet. While these eye pillow can’t soothe a crying baby, they certainly can soothe a tired mom. 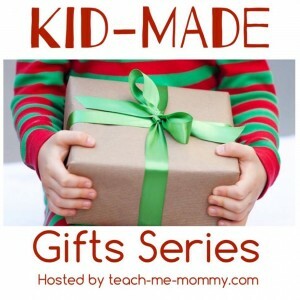 Today’s post is part of the Kid Made Gift Idea series, be sure to stop by the main page to discover all the kid made gift ideas being shared. Check out these sweet candy cane lanterns that Raising Superheroes created – so much fun! This is a great project, and gift too! Thanks for participating! 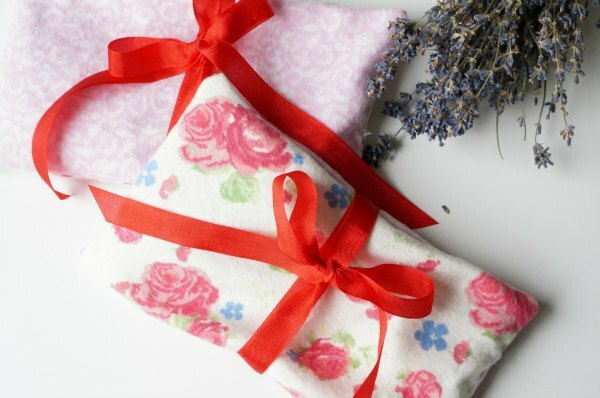 I fondly remember making similar lavender bags as presents when I was a child! Thank you for making my day a little happier!